Is there a better alternative to My Photos Over Time? Is My Photos Over Time really the best app in Productivity category? Will My Photos Over Time work good on macOS 10.13.4? My Photos Over Time simplifies organizing and sharing your photos by converting your photo folders into neatly indexed photo collections. Generates photo collections based on any input folder of photos. You can keep your photos in any folder structure of your choice. Thoroughly searches through all subfolders to retrieve images in JPG, JPEG, PNG or GIF format. Sorts and arranges photos by date, one day per page. 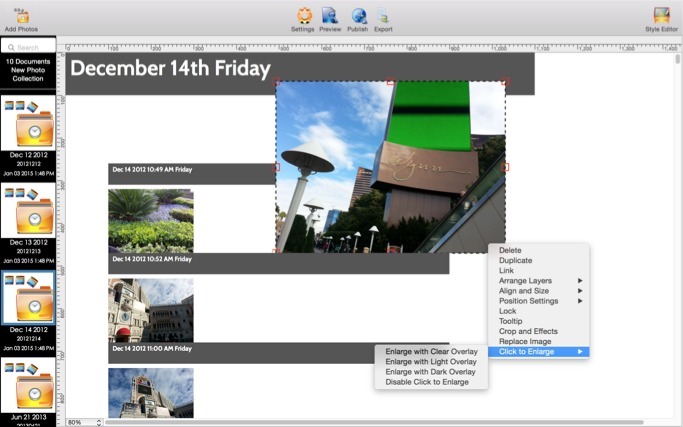 Presents neatly formatted photo collection, with click-to-enlarge thumbnails, timestamp and optional file path. My Photos Over Time needs a rating. Be the first to rate this app and get the discussion started! Generates web version that can be easily shared online with built in web publishing FTP features.